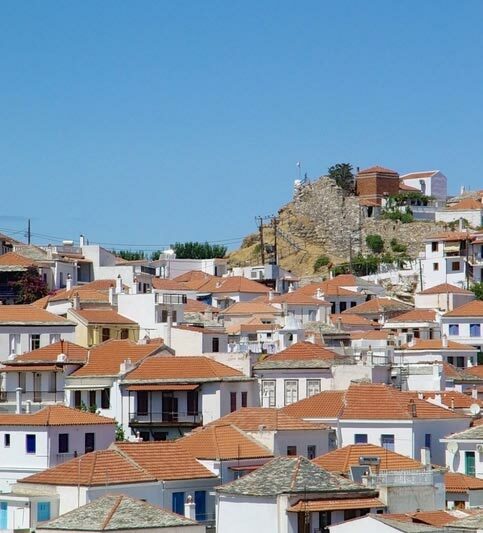 The Castle is located at the top of the hill above the town of Skopelos. 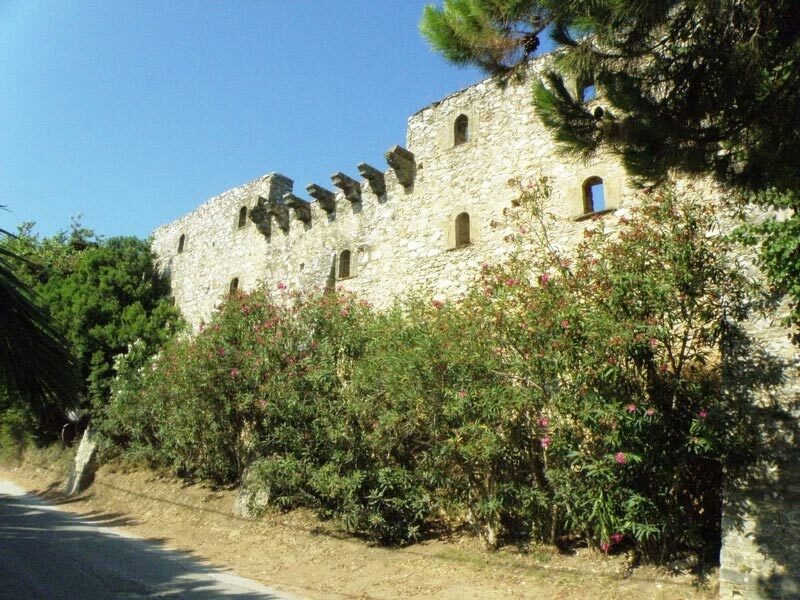 It is an old Venetian fortress built on the ruins of the ancient citadel. It was repaired by the Venetians in the 13th century but today only parts of its walls are standing. The famous "Trunks "(Sentoukia) are unique ancient tombs located on the mountain of Karya, just above the Monastery of St. Eustatius. According to legends and the folklore tradition, the "Trunks" hide many secrets and treasures from the ancient times. This location is ideal for gazing, since you have magnificent views of Alonissos, Evia, Skiathos and Pelion. The Diocese of Skopelos is located in the town of Skopelos. It is a Venetian building, which was meant to be the office of the Bishop of Skopelos, but remained unfinished due to raids by the pirate Barbarossa in 1538. In 1949 the building was purchased by the Dimitriadis brothers, who conducted excavations under the supervision of Professor A. Xyngopoulos and revealed important findings. Asclepius, one of the most important findings of Skopelos, is the oldest temple dated back to the 4th century BC and dedicated to the god of medicine in the Aegean. After continuous excavations important findings were revealed such as amphorae, red-figure Attic vases, fragments of statues and coins. 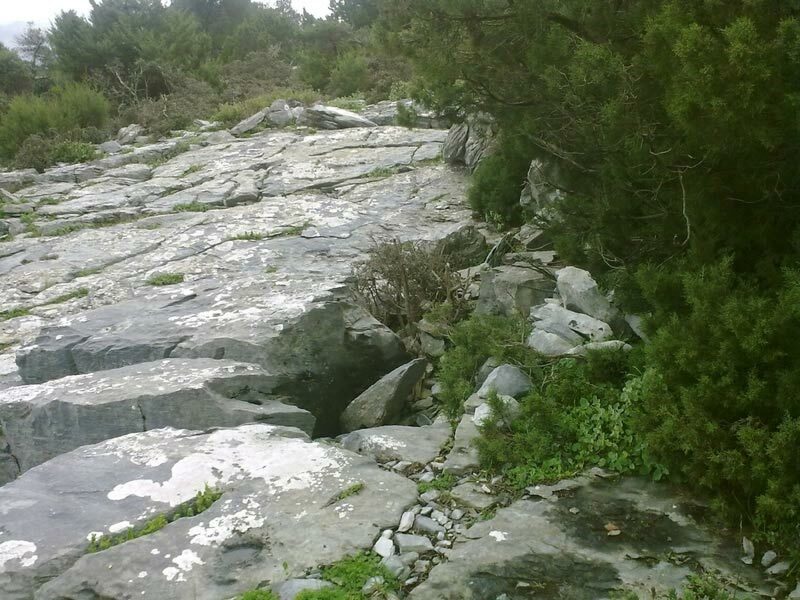 They are mainly found in the area of Glossa and were originally ancient farmhouses. They were associated with cereal cultivation, the production of wine and oil, but at the same time operated as watchtowers to protect residents from pirates and foreign invaders. 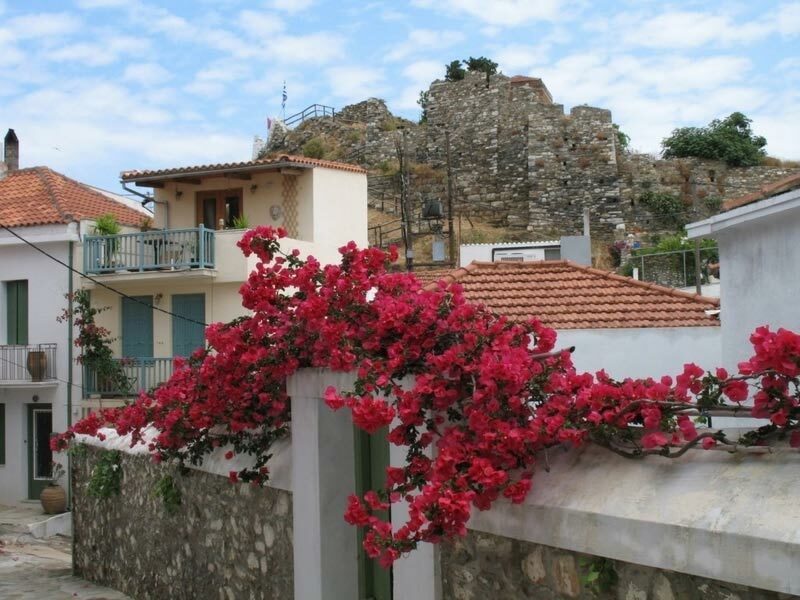 In the village of Panormos, on the hill "Paleocastro", there are ruins of an ancient city, which had a fortified citadel with extremely elaborate wall structures. Excavations at the site have revealed amongst others, a workshop of amphorae construction and a storage area for unused amphorae. A path leads from the Acropolis to the Cave of Pan, which is the only monument worshipping this God. Loutraki is the second largest port of the island. 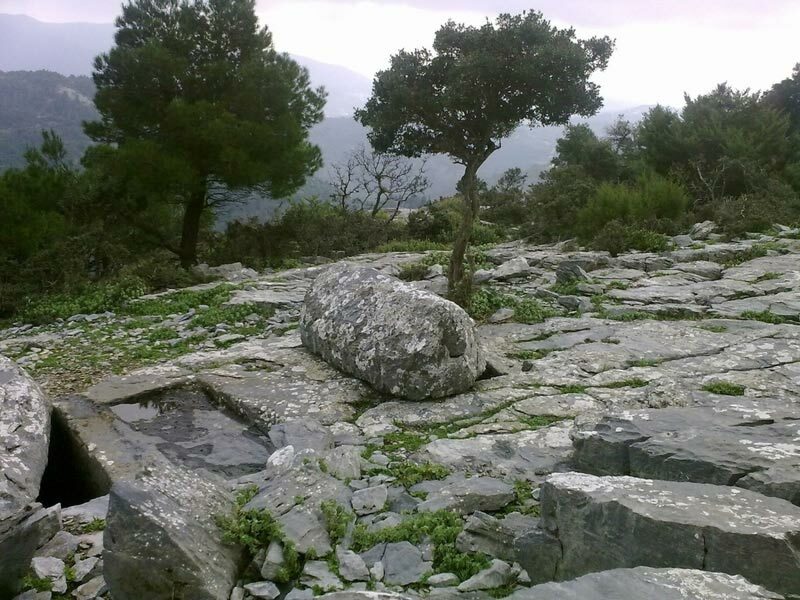 The third ancient city of ancient Peparithos, Celinous was situated in Loutraki. In the hill area one can see the remains of the ancient city of the Roman era and the Roman baths. Their characteristic feature is the elaborate mosaic floor, part of which is immersed in the sea.